Want to show some pictures and wow your guests during dinner at your reception? Looking to do a concept video during dinner? Maybe you’re having a New Year’s Eve reception and want to watch the big ball drop with your guests. Adding a Socialcast so you and your guests can see their posts and pictures all night long is also a lot of fun. Wondering how to display all of this so everyone can actually see and hear everything? SSE has the solution! 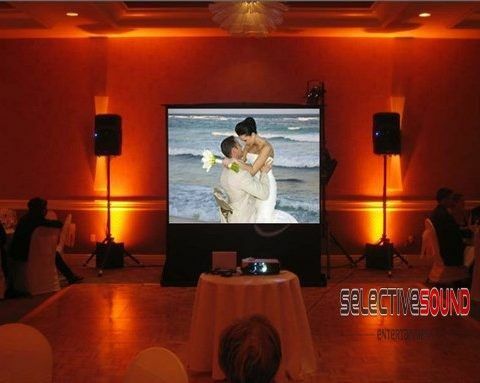 From LED/TV’s and monitors to projectors and screens, we have just the wedding display screens to meet your needs! When planning a wedding, most couples think about the traditional list such as centerpieces, the guest list, the ceremony and the food. 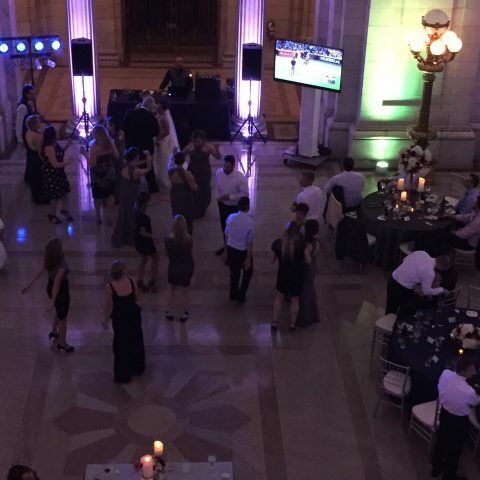 Entertainment, such as a DJ or photo booth will typically be on that list as well. However, many couples don’t have TV’s on that list. Some may think it’s an odd or silly thing to consider. What couple wants their guests staring at a television all night when you’re supposed to be the center of attention? We couldn’t agree more! We’re not talking about running some old reruns of Friends at your reception. Rather, we are talking about sleek flat-panel displays to large-format projection screens to enhance YOUR big day…we would NEVER want to take away from it. 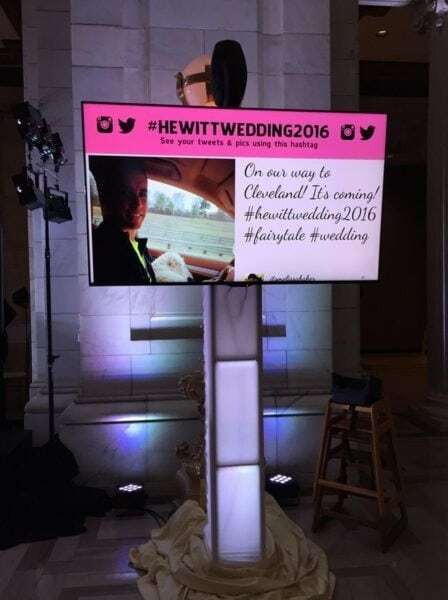 Wedding display screens are becoming increasingly popular at wedding receptions. There are so many ways to use them during the reception which means you’ll truly get your money’s worth. For example, during cocktail hour you could run a concept video. Then, during dinner, you could let the fun start with your very own Socialcast. 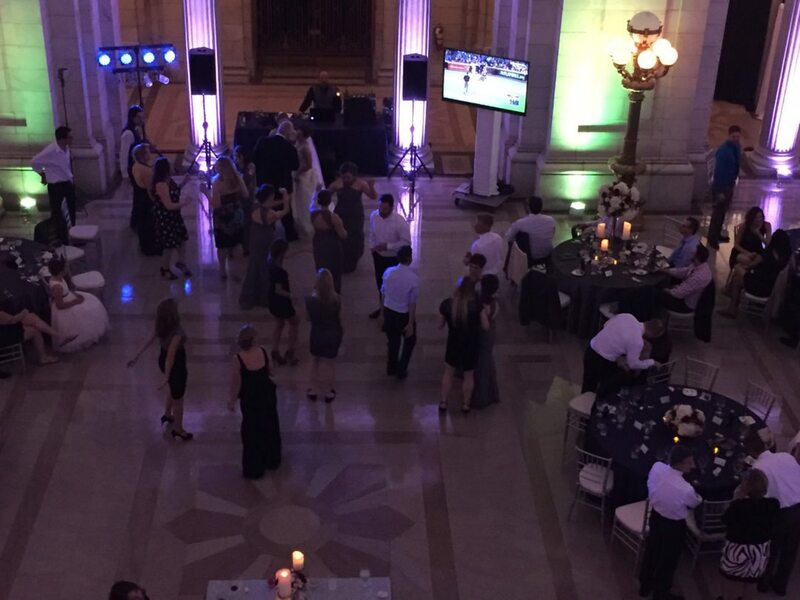 While your guests are rocking out on the dance floor we can put anything you want on those wedding display screens. And when it gets closer to the end of the night, you can put your own personalized “Thank you” on them. 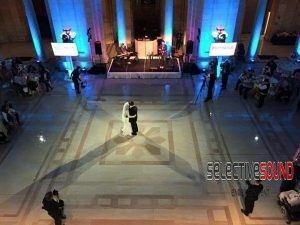 So what do we have to offer for wedding display screens? Firstly, our LED/TV’s and monitors. We currently offer 43″, 50″, 60″ as well as 70″. Therefore, no matter what you’re planning or how much space you have we are certainly able to accommodate. If you prefer projectors, no problem, we also have those. From 5×7 screens to 15×20 screens, we can handle any size. We also have high-lumen digital projectors as well as rear projection screens with skirts to keep the look clean. If you have questions about our wedding display screens feel free to contact us. We are happy to help!